I bring people & technology together. into the cozy nexus of these three amazing fields. I am the Program Director of Tech Goes Home Chattanooga, the first digital inclusion project of Chattanooga’s Enterprise Center. 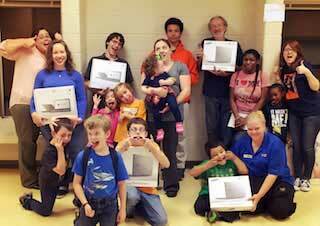 We work with community organizations to provide free digital literacy training, an affordable device, and access to low-cost home Internet for Hamilton County’s underserved residents. I co-founded Code & Creativity. 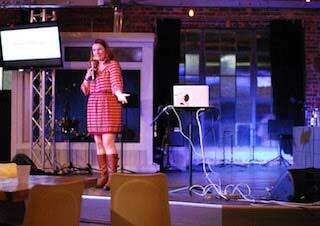 This bi-monthly talk series brought the web design and development communities in Chattanooga together to hear from world-renowned experts for free. 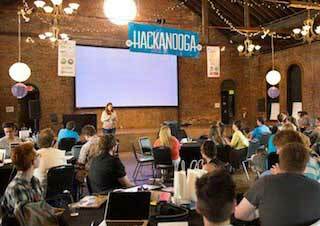 I also organized Chattanooga’s largest city-wide hackathon: Hackanooga. Through my work as Co-founder and UX Lead of Easy Designs, I worked to make the Web a more equitable and friendly place for everyone. I also helped establish the Chattanooga Open Device Lab to increase awareness of digital device diversity among Chattanooga’s dev community. The following is a collection of interviews, podcasts, and more about me and the work that I do. I was interviewed for Slate ’s Placemakers podcast, discussing digital equity. I’m so incredibly honored to be a recipient of Girls, Inc.’s prestigious award. Matt Busby and I talked about Tech Goes Home Chattanooga and the importance of digital equity. Tech Goes Home Chattanooga brought home the CHA Startup Award for Education. Go team! The Hetchinger Report interviewed me about Tech Goes Home Chattanooga. I’m always happy to talk about the work I do and share what I’ve learned. Just fill in the brief form below or hit me up on Twitter.